"Thank you Dr. Brown for making me feel beautiful again." "My legs look so much better and I am no longer self conscious when I wear shorts." "I love my new skin that the Cutera Laser Genesis gave me!" "I haven’t even finished my treatment series yet & my skin is already tighter & smoother!" "I am so pleased with my results from the Botox and Juvederm treatments." "Dr. Brown did an outstanding job with my Botox and Juvederm treatments." "After starting on a new skincare routine, my skin looks so much smoother and fresher." "I finally love how my skin looks." "Thank you Dr. Ulrich and staff for all the great care!" Offer expires April 30, 2019! 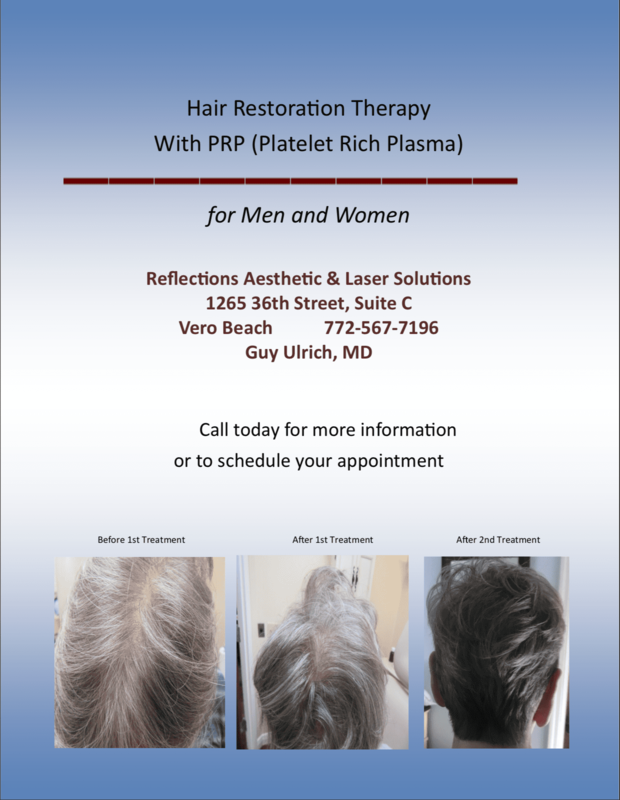 At Reflections Aesthetic & Laser Solutions, men and women from Vero Beach, Florida, have access to cutting-edge technology and highly skilled physicians and aestheticians. The practice offers comprehensive skin and body services, providing patients with a wide range of treatment options. Reflections Aesthetic & Laser Solutions is a division of Primary Care of the Treasure Coast, and patients receive the same level of compassionate care regardless of whether they come in for medical or cosmetic procedures. Experienced physicians administer all laser, injectable, and resurfacing treatments, while licensed aestheticians provide peels, facials, waxing, and other noninvasive procedures. The Reflections team understands that when you look your best, your confidence soars. That translates into improved self-esteem, better first impressions, and more enjoyable social interactions. Providing positive outcomes and exceeding expectations are central to the practice philosophy at Reflections Aesthetic & Laser Solutions. We only offer the most innovative and effective treatments, and our doctors continue to research emerging technologies to ensure that patients always have access to the highest level of skin and body services. Whether you're looking for a more youthful, rested appearance, treatment for skin discoloration, laser hair removal, laser tattoo removal, or body contouring, Reflections Aesthetic & Laser Solutions is here to help. Patients also have access to top-of-the-line skincare products to extend the results of in-office procedures. Call the Vero Beach, Florida, office or use the simple online scheduling tool to set up an initial consultation today. There's no better time to begin looking and feeling your best. We are now accepting care credit! "Top of the line equipment, the Apollo skin tightening systems has been amazing to work with." "I have had great results with my laser hair removal, which has given me greater confidence in my appearance. No more mustache! Thank you very much." "Thank you Dr. Brown for making me feel beautiful again. Without all those brown spots, my skin looks wonderful and I feel great about myself." "I have had great results with my laser hair removal, which has given me greater confidence in my appearance." "I love my new skin that the Cutera Laser Genesis gave me! My skin looks 15 years younger. It’s soft and smooth. Thank you for everything you do!" 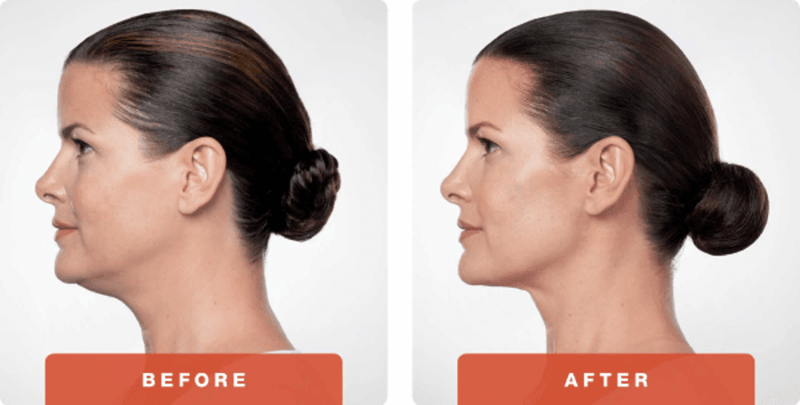 "When I left after my first Apollo Skin Tightening treatment, I knew I had just done the very best thing. This was definitely the right choice for me. Thank you!" "Dr. Brown did an outstanding job with my Botox and Juvederm treatments. No more frown lines, no more sad lines, and no more sad mouth. I love my new look!" "Reflections Aesthetics has the latest technology available, exceptional staff and the Doctors are wonderful. I recommend them to all my friends." "I suffered with embarrassing facial hair growth for a long time before having laser hair removal. It has been the best decision I ever made."